You might be surprised to hear the words ‘Jersey’ and ‘Extreme Sports’ in the same sentence, but this little Island has a wild side, and the sleepy country lanes and long expanses of unoccupied sand belie a haven for adventure seekers. We have listed below our Top 10 pick of exciting outdoor activities available in Jersey, offering something for every visitor. With wide sheltered bays on the south coast, Jersey offers ideal safe conditions for beginners to learn the ropes, whilst more experienced riders have the opportunity to join a guided Jet Ski Adventure with Jersey Sea Sport Centre, venturing out into open sea, opening the throttle and experiencing the thrill of zipping past the fantastic south coast scenery. For more information please visit Jet Skiing in Jersey. Jersey has over 48 miles of coastline, much of it wild and rocky. Thrill-seekers can best explore this dramatic landscape by coasteering with an experienced guide. Clambering, climbing, caving and swimming along the coast will uncover hidden caves and gorges from a totally new viewpoint. The fearless can try their hand at cliff-jumping from ever-increasing heights along the way. To find out how you can get climbing go to our dedicated coasteering page. Walking in Jersey can be as relaxed or as energetic as you are. 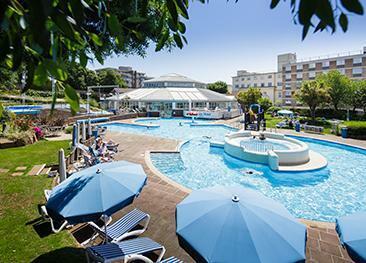 From a gentle stroll along the flat and wide St Aubin's Bay promenade, to an invigorating hike up and down the cliff paths of the north coast, there is something to suit everyone. For a truly unique walking experience, time your visit to coincide with one of Jersey Walk Adventures’ regular ‘Moon Walks’ across the fascinating south coast seabed. The tidal range in Jersey is dramatic, and seabed walks must only be undertaken with a qualified and professional guide. Hidden deep in a wooded valley in the parish of St Brelade lies Valley Adventure Centre, offering a range of exhilarating activities for all ages, including a vertigo inducing aerial assault course, challenging your powers of co-ordination and problem solving at heights of up to 8m above ground and ending with a 12m free-fall powerfan jump. With nothing but thousands of miles of open Atlantic Ocean between the sands of St Ouen’s bay and the coast of Newfoundland, the strong swells and consistent rollers make this beach a surfer’s paradise. Beginners can take lessons from one of the world’s oldest surf schools and experienced surfers will find themselves challenged by larger swells, all against a breath-taking picturesque backdrop. Jump on your board and get surfing! Probably the best and most fulfilling way to explore Jersey is on two wheels. This diminutive Island contains an impressive 350 miles worth of lanes and roads to explore, many of them restricted to 15mph and offering priority to cyclists, walkers and horse-riders. Download dedicated cycle routes from Visit Jersey Cycle Routes, pack a picnic and get pedalling. Learn more about cycling in Jersey. Take a thrilling high speed ride across the flat expanse of sand in St Ouen’s Bay on a blo-kart. A cross between go-karting and windsurfing, these light-weight buggies designed in New Zealand can reach speeds of up to 90km per hour powered by solely by fresh winds blowing in off the Atlantic ocean. For more information on how you can get involved, read our Blo Karting page. Undoubtedly the fastest growing water sport of the last decade, stand up paddle boarding or SUP has taken Jersey by storm. 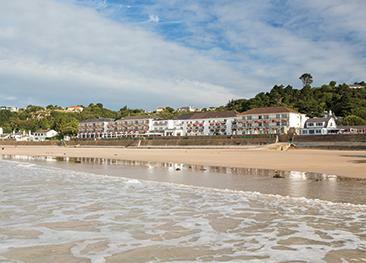 Sheltered bays such as St Brelade's offer ideal calm conditions for first-timers to take to the water, whilst the more confident can explore the nooks and crannies of the coastline, or take part in regular organised races. Jersey boasts one of the very few beach landing drop zones in the world, so where better to experience an adrenaline pumping tandem skydive? Enjoy panoramic Island views as your plane climbs to 2 miles high, before an exhilarating 30 second free fall and breath-taking 6 minute parachute ride back to terra firma. One of the best and easiest ways to really explore Jersey’s varied coastline is by Kayak. Discover otherwise inaccessible beaches and caves, get up close to seals and marine birds at once of the Island’s offshore reefs, or simply enjoy a tranquil paddle around a secluded bay. Kayak hire and guided excursions are available for all abilities and ages. 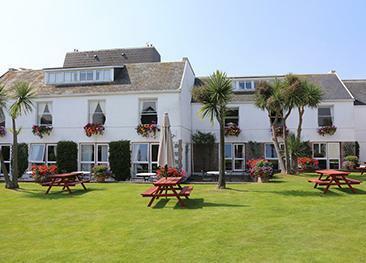 L’Horizon Beach Hotel & Spa offers a vibrant, spacious and chic environment in a fabulous location on St Brelade’s Beach, Jersey's south coast.